In February, two-time NFR Qualifer Garrett Tribble jump started his bid to return to the NFR by winning over $34,000 at the San Antonio Livestock Show and Rodeo. 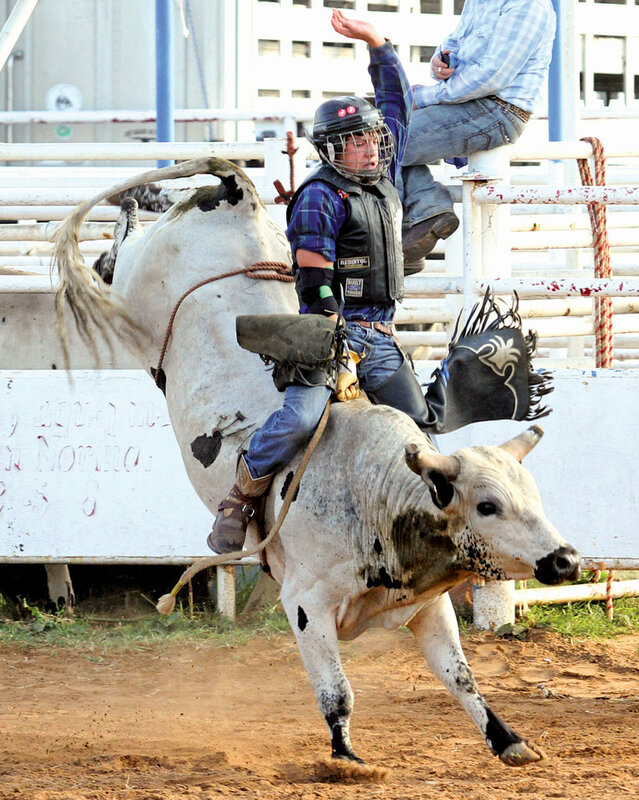 On September 29, Garrett Tribble of Bristow, Oklahoma won the Corn Palace Challenge Extreme Bulls. Scoring 88 points on Dakota Rodeo’s Pile River, Tribble won over $6,000 and sealed his fate as the eighth-ranked bull rider headed to the Professional Rodeo Cowboys Association (PRCA) National Finals Rodeo. The 21-year-old International Pro Rodeo Association (IPRA) World Champion Bull Rider (2014) earned $102,225.58 to qualify for his second NFR. “Missing last year’s NFR was the driving force and really the only inspiration I needed for this season, knowing what and how much I missed out on,” said Tribble. The 5'7 - 145-pound bull rider missed the 2017 Super Bowl of rodeo finishing in 22nd place with earnings of $67,235. The Bristow High School graduate returns to Las Vegas where he was the co-champion of Round 7 and placed in two rounds to rank 12th at the 2016 Wrangler NFR. Tribble finished 13th in the 2016 PRCA world standings with $129,118. Winning the San Antonio Stock Show and Rodeo in February, Garrett Tribble built a solid foundation for his return to the NFR in 2018, the win padded his bank account by $34,574.40. Traveling with Corey Atwell and Denton Fugate, Tribble attributes his winnings to being with guys that are just as good if not better than him. He would go on to win Spanish Fork, Utah, Merrill River Pro Rodeo, 101 Wild West Rodeo in Ponca City, Okla., the Will Rogers Memorial Rodeo in Vinita, Okla., Crosby (Texas) Fair & Rodeo, Elk City (Okla.), Rodeo Of Champions, the Corn Palace Challenge, Mitchell, S.D., and the Pasadena (Texas) Livestock Show & Rodeo. With 8 Seconds on his mind, Tribble began his bull riding career at five years old in the mutton-bustin' arena. His first experience was with a friend who was entered. His Dad Rodney finally took him to a rodeo and from that day he made up his mind he was going to be a bull rider. With the help of his family, Tribble progressed to youth association competition in the Junior Bull and Bronc Riders Association (JBRA), National Junior Bull Riders Association (NJBRA) and the Oklahoma Junior Rodeo Association (OJRA). He began competing in 2012, and at 17 years old he won the IPRA world title in 2014. He graduated from high school the next year joined the PRCA, and by 2016 he was qualified and headed to Las Vegas as a rookie bull rider at the NFR. “I won’t be as nervous as I was in 2016, I won’t take myself as seriously as I did then,” said. Tribble who admittedly will study the bull draws harder in Las Vegas than on the rodeo road, said most of them he sees during the qualifying season. “If I don’t know one, I’ll sure ask for information on him,” laughed Tribble. Tribble says his best ride of the year was on Page’s Double Vision in San Antonio and his 91 point ride in Spanish Fork on Frontier Rodeo’s Footloose. 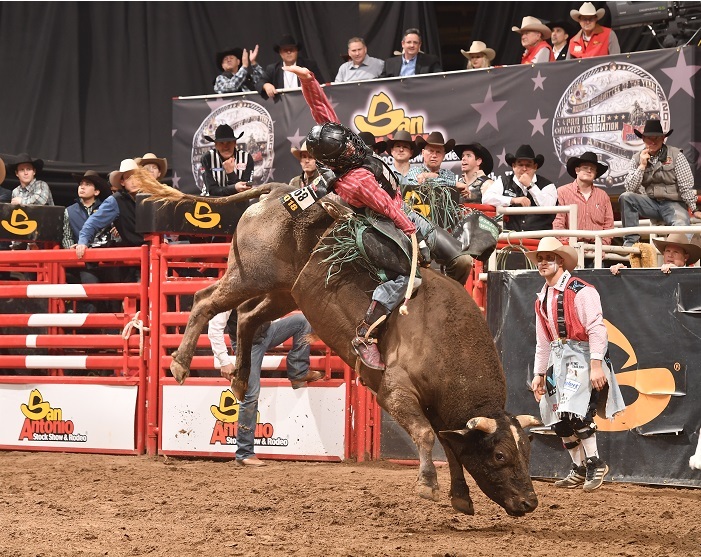 “I learned you can never let up, I was sitting pretty good then fell down towards the end until that Extreme Bulls wins that put me up to 8th,” said Tribble. For more information contact Leigh Ann Schroeder, 940.902.1112 or leighann@theshortround.com or lschroeder@prorodeo.com.